The Exceptional Family Resource Center (EFRC) serves as a “Point of Entry” for CA Early Start Services in San Diego and Imperial Counties, and participates on a multi-agency collaborative which includes Regional Center and your Local Education Agency (LEA). If you have a concern about your child’s development, we encourage you to contact EFRC Family Support Liaisons who will assist you with intake, support and resources. 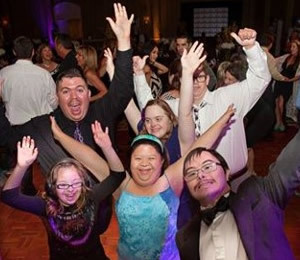 Exceptional Family Resource Center coordinates parent-to-parent support, information and referral services for families of children and adults with Down syndrome through a formal partnership with the Down Syndrome Association of San Diego. EFRC and DSA collaborate on training activities, conferences and special events. DSA is collocated at the Central EFRC office. For more information call DSA at 619.594.7389. EFRC is one of 14 Family Empowerment Centers (FECs) in CA. The FECs provide services to families of children with disabilities who are between the ages of 3 and 22 to ensure that parents, guardians, and families of children and young adults with disabilities have access to accurate information, specialized training, and peer-to-peer support. 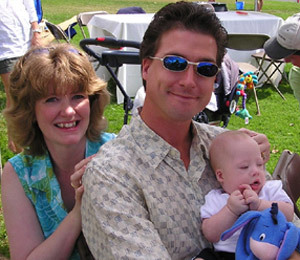 The goal is to empower families to participate as equal partners in decision-making in the development of IEPs and alternate forms of dispute resolution. PR is a voluntary, confidential, no cost, local mediation process designed to resolve special education disagreements between families and parents within the Poway unified school district (PUSD). PR is facilitated by the Exceptional Family Resource Center. For more information call the PR mediation coordinator at (619) 594-7383. RSS is a voluntary, confidential, no cost, local mediation process designed to resolve special education disagreements between families and districts within the fourteen school districts in the North County Consortium for Special Education (NCCSE). RSS is facilitated by the Exceptional Family Resource Center. For more information call the RSS mediation coordinator at (619) 594-7383.